This is my port of Remix OS 2.0 for Cube iWork8 Ultimate (I1-T/I1-TD/I1-TWB/I1-TC) and iWork8 Air (I1-TF/I1-TFB). 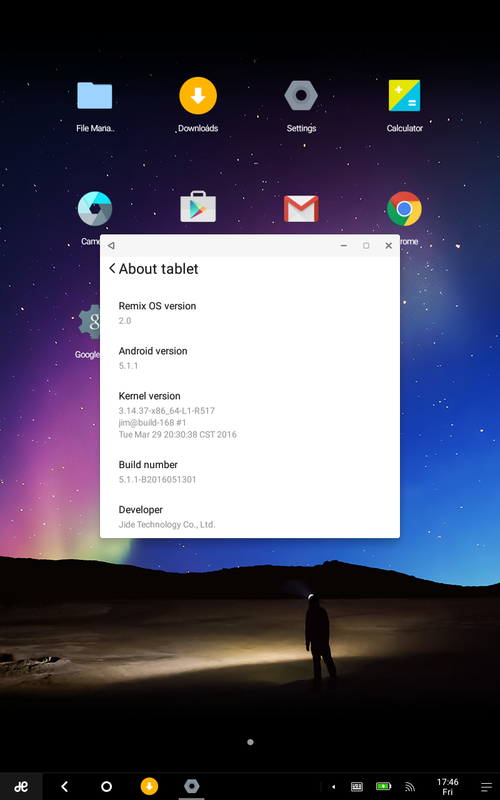 This ROM is based on Onda v820w CH official Remix OS release build B2016051301. Q: I don’t have root. I don’t have busybox. What should I do? A: Download SuperSU and/or BusyBox flashable zip and install it in TWRP. Q: Official Xposed Framework is not working with Intel stock ROMs. What should I do? A: You can use this modified build with Intel stock ROMs. Q: I have iWork8 Ultimate I1-TD/I1-TWB/I1-TC with different touchscreen hardware. What should I do? A: Download suitable patch for your device below and install it in TWRP. Q: I have iWork8 Air I1-TF/I1-TFB with different display hardware. What should I do?